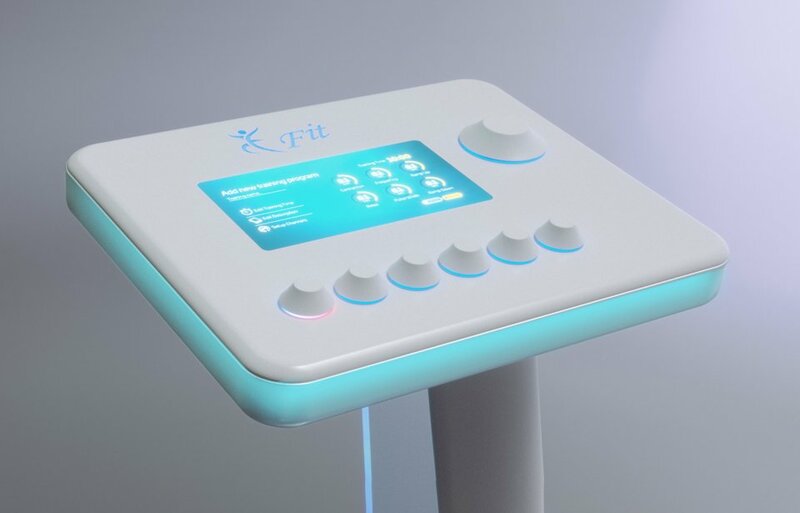 is a revolutionary new device that utilises a technology unique in the whole world: it combines the highly effective and positive effects of EMS (Electrical Muscle Stimulation) technology and infrared heat-therapy, making it an efficient method both in the beauty and fitness sectors. It offers a fantastic opportunity for beauty salons, spas and wellness centres. In addition to the standalone application of the passive treatments, the E-Fit Beauty&Slim device may also be used as a complementary treatment in parallel with other cosmetic treatments. "…already after some treatments the transformation is spectacular. Weight loss begins, the skin becomes tighter and the bodyshaping is faster than ever." "E-Fit Beauty&Slim treatments are very popular, my guests love the combination of visible, fast results and comfortable, pleasanr treatments." "It's a great advantage to be able to apply parallel with facial treatments as well, so it's timesaving for our guests." E-Fit Beauty&Slim offers a fantastic opportunity for beauty salons, spas and wellness centres. 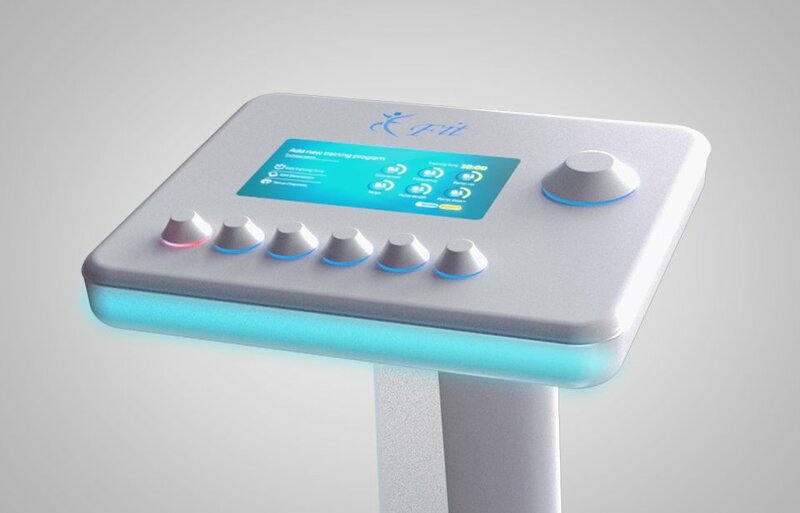 In addition to the standalone application of the passive treatments, the E-Fit Beauty&Slim device may also be used as a complementary treatment in parallel with other cosmetic treatments. Electrical Muscle Stimulation, or EMS, is a technology based on several decades of research and development work, and is successfully applied in the areas of fitness, rehabilitation as well as the beauty industry. EMS technology passes on stimulation directly to the muscles, causing the muscles to contract and then relax in a concentrated form. One of the main benefit of muscle stimulation comes from the intense muscle contraction, which effectively reaches the deeper muscles as well. Furthermore, the EMS technology plays a major role in improving blood circulation and increasing the metabolism to remove the excess by-products. The E-Fit Beauty&Slim provides all the positive effects of the infrared heat-therapy. Scientific researches attribute numerous benefits to infrared heat-therapy with a history going back thousands of years. These include the following examples: improving metabolic processes of the cells, accelerating the degradation and elimination of waste materials, eliminating cellulite and decreasing fat deposits; they also help activate the immune system and self-healing mechanisms. Calorie burning also increases as a result of a boosted blood supply. Thus, due to the effect of the infra heat-therapy our body is able to detoxify itself, and the skin eventually becomes more supple and tight. Heat also alleviates muscle stiffness, facilitates relaxation and relieves chronic musculoskeletal pain. WE WOULD LIKE TO INVITE YOU TO OUR E-FIT SHOWROOM IN THE HEART OF BUDAPEST! The infrared waves are especially harmless, since they are able to penetrate through the upper layers of the skin without being absorbed by them. The heating effect is produced in the deeper layers, this stimulates the blood circulation potentially improving the oxygen supply of the organs, the blood vessels will dilate, and the whole circulatory system may be activated. Heatable EMS jacket for relieving and treating spine and back problems and alleviating the stress in the back. The heating system of the ThermoCare Jacket utilises long infrared waves, which penetrate deeply into the tissues, this way they may boost the metabolism and blood circulation. Relaxing the tissues may reduce and even completely eliminate any pain the patient may have. Thanks to the ease of use, we recommend it for gyms as an addition to cardio workouts carried out with cross trainer or stepper. It's main advantage is time efficiency, since the time of a standard workout can be reduced to one third.